Amy Bisceglia serves as a governmental consultant with The Rubin Group. Amy represents clients before the State Legislature, Florida’s Executive Branch, and local governments in South Florida. 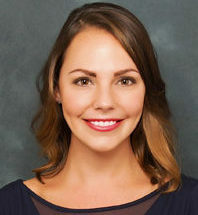 In addition to her knowledge of governmental relations, Amy has experience working in the Florida Senate, the Florida Governor’s Office and within Florida’s Executive Branch. Before her consulting career, Amy served as a legislative aide in the Senate President’s Office and on the executive team in the Governor’s Office. She also served in the Communications Department at the Florida Lottery. Amy is a graduate of the Florida State University with a Bachelor of Sciences degree in Public Relations. She also formerly served as a Guardian Ad Litem in the Big Bend Area.